Day surprise, all under $39.99. arrangement won’t cost you more than $30, #29.99 to be specific. Day gift. So go ahead and buy it here. Regardless of how hard you find to accept it, mum is getting old and her feet ache sometimes. You can make life a little easier for her, buying her a pair of soft microwavable bunny slippers. So the next time her feet ache, all she has to do is pop them into the microwave, and viola, warm slippers for aching feet are ready! Buy them at a local departmental store near you for less than $25. When was the last time your mum penned down her thoughts or maintained her diary. Let her begin to feel younger again. 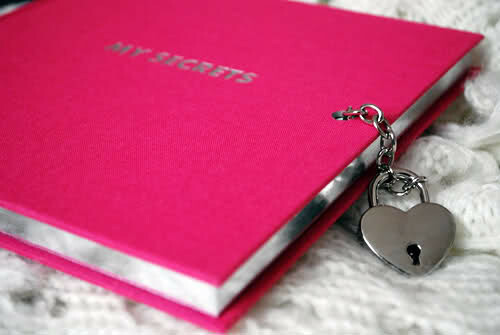 Gift her a diary in which she can pen down her daily experiences and let it be her top secret. You can buy one in less than $20 dollars at any book store. If there’s something else apart from roses that mum’s love, it’s chocolates. 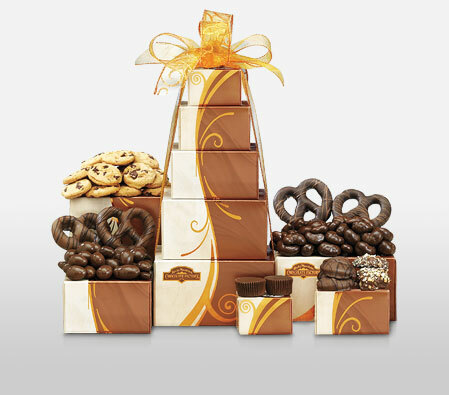 Chocolates make the perfect stress busters and they don’t just taste great, they smell great too! So what’s stopping you from buying mum some happiness? Buy it here and now! As cliched as it may sound, Mother’s never get tired of repeatedly looking at pictures of their kids. 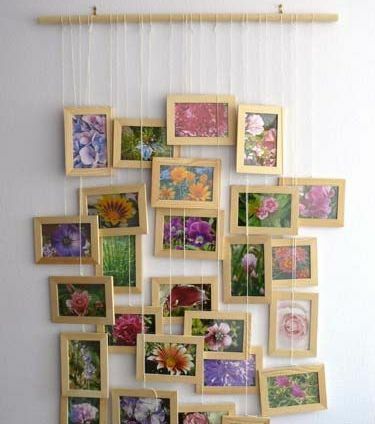 Pick the best memories of you and mum and have them framed as a collage. She’ll love them! We’re eager to know how your Mom reacted to the surprise gifts we suggested. Let us know if they worked well for you, or if you have better suggestions in the comment box below. 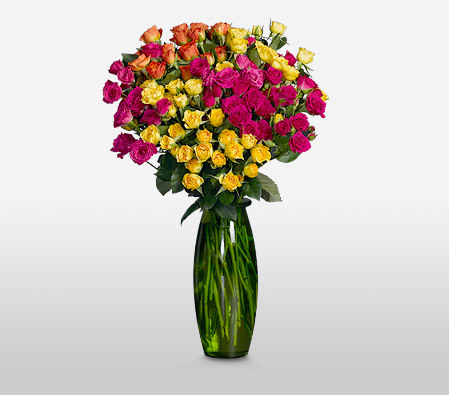 – Send Mother’s Day Flowers to U.S.A.
– Send Mother’s Day Flowers to U.K. This Mother’s Day you can give your mom something that she will truly cherish and appreciate, a photo album of o ld memories. Remembering incidents and stories from childhood or family trips taken together is a fantastic way to spend Mother’s Day. With a photo album, you get to be creative and put a little bit of yourself into it, while also having the certainty that she will like the photos you put in the album. They say ‘God could not be everywhere so he created Mothers’. Oh, we just cannot agree more! A mother is the best gift of God; she is a blessing in every way and an angel of your life. Of course, she deserves all your love and pampering on the day meant to honor her. So what have you planned for mom this Mother’s Day? Before you juggle between the various gifting options, find out what mom really wants from you on Mother’s Day! She has mothered you nine months even before you were born. And, she has been mothering you ever since. Of course, she deserves a break, doesn’t she? 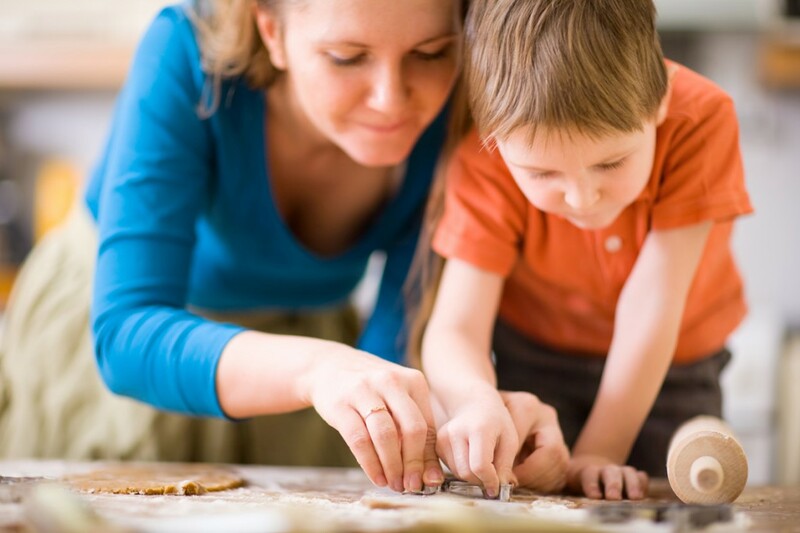 Many moms on Mother’s Day actually desire to get a day off from parenting and all the typical household chores that they do every single day of the year. So, this Mother’s Day, give her some ‘me-time’ and a day off from parenting. Maybe you can take care of your younger siblings so that she finds some time for herself! This is one thing that mothers literally crave – sleep! Yes, she gets tired too although she is always ready to cook your favorite meal when you ask for it. Research proves that moms lack sleep the most while they are busy looking after kids and family. So, this 8th May, let her sleep till late and relax in her bed. Moms juggle between numerous chores every day. She cooks breakfast for you, cleans the plates, rushes to work, gets groceries, ensures you finish your homework and more? And, she does all of this every single day of the year. Many mothers, therefore, desire a relaxing day at the spa on Mother’s Day. This is the best way they can relieve themselves of all the stress and prepare for another busy week. So, arrange her a relaxing day at the nearest spa and watch her face light up! There is nothing apart from time that a mother will ever want from her child. While she has parented you all these years, she has grown in age herself. And, while she wouldn’t expect you to buy her expensive jewelry or anything fancy, she surely wants a bit of your time. So, spare some time from your hectic schedule this Mother’s Day and let her know she’s special. She has loved and pampered you with everything you wanted ever since you were a kid. It’s time now to return the favor and give her the same. Moms secretly desire love and pampering from their kids although most of them wouldn’t openly confess it. Just make an effort to take her out to her favorite place this Mother’s Day, cook her favorite delicacy or shower her with enticing Mother’s Day Gifts. Apart from being a well-known Chinese symbol of womanhood Azaleas are celebrated across cultures because of it’s association with beauty and love. These flowers grow all over the globe and can be easily found at your local florist and you can also buy flowers online. If your mum is interested in culture and heritage, she’ll love these beauties. 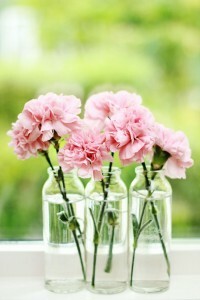 Carnations signify purity, faith, love, beauty and charity; all virtues associated with motherhood. Anna Jarvis, a campaigner sent carnations to all mothers in attendance at a local church in United States, since then carnations are often used in Mother’s Day celebrations. Bluebells are delicate flowers that bloom in the month of April and May. Their soft blue hue and bell like shape represent everything that is motherly. 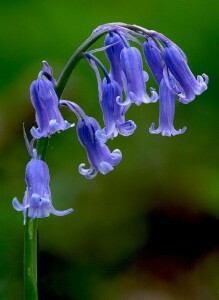 If you’re mum is the calm and delicate types, chances are that she may love a bluebell bouquet. 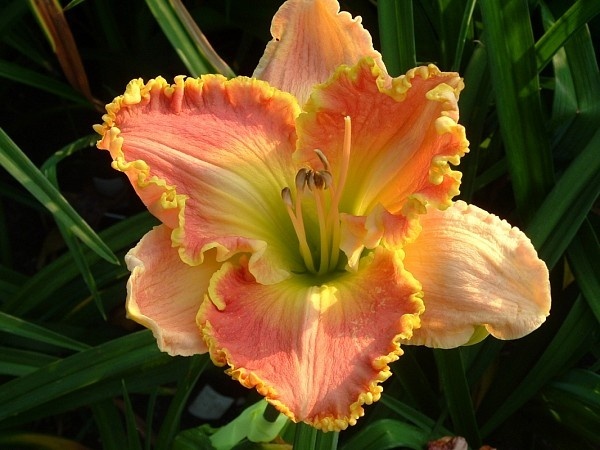 Day Lilies too are Asian symbols of womanhood. They’re beautiful and come in a variety of colors, the best being orange and yellow. You can choose a flower depending on the color your mother loves the most. Give the classic rose bouquet a ditch this time and surprise mum with Tulips. 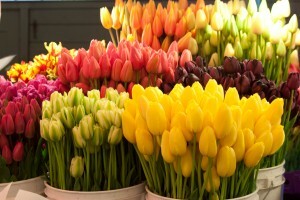 Tulips are basically happy flowers that represent, comfort and above all mirth. If your mum is the fun-loving types, Tulips make the perfect gift. 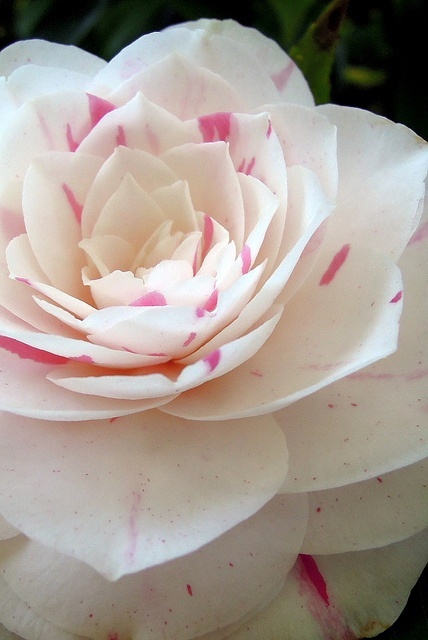 Camellias are native to South East Asia, Japan and China. They symbolize gratitude and longevity because of their long life span. They’re available in bright hues and would a great Mother’s Day bouquet. International flower delivery has anyway made life easier. You can buy flowers online. These are colorful and bright flowers that look a little like colorful sunflowers. 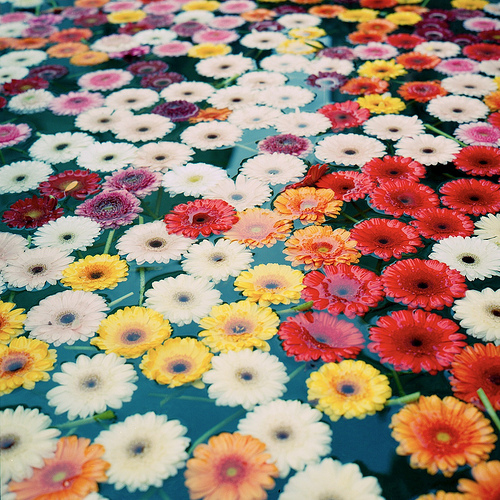 They symbolize cheerfulness. If your mum loves bright colors, she’ll surely love a Gerbera bouquet. You can always rely on roses. Pink roses symbolize gratitude and appreciation, something that mums crave for. Yellow roses represent care and the white ones represent purity. Mother’s Day is only a few days away, make sure you bring a smile on her face this year! – Send Flowers to U.S.A.
– Send Flowers to U.K.
Easter makes up for the lull that follows after the Holiday season. It’s the first big festivity of the year for families (Valentine’s Day is primarily for those involved in romantic relationships). While we take pains to find the perfect Christmas gift for our loved ones, Easter isn’t given even half as much as the importance. However one should keep in mind that after Easter the next family festivities come at the last quarter of the year, (we’re referring to Thanksgiving). Easter gifting is still an area that hasn’t been explored too much. But when you’re away from your family, it is important to make your presence felt. Easter is a good time to do so. With online gifting portals booming, sending gifts across the seven seas is a cake walk. 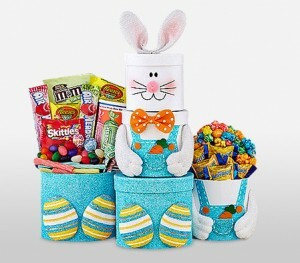 We’ve shortlisted a few of our top products; Easter flowers and Easter gifts that are a favorite amongst our customers. There’s no need for you to go out on a mad search for the perfect Easter gift. Send Easter gifts online using international flower delivery services. 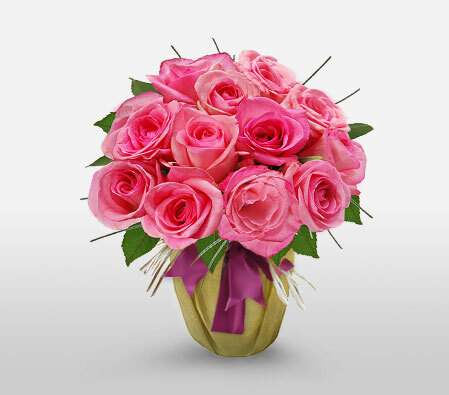 Bright with the charm of Spring and the pastel pink of Easter, this arrangement of roses makes the perfect surprise for Easter. 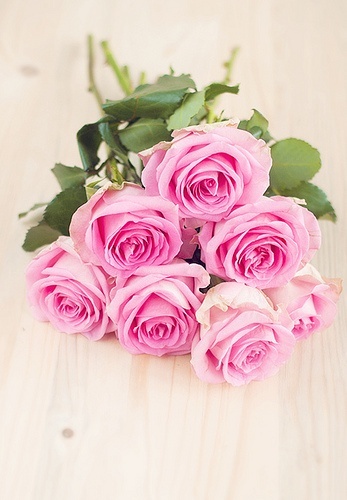 This product contains 12 medium stemmed pink roses wrapped in fancy paper and tied with a ribbon. A gorgeous mixed flowers bouquet complete with the vibrancy of Spring, this arrangement has Easter attached all over it. 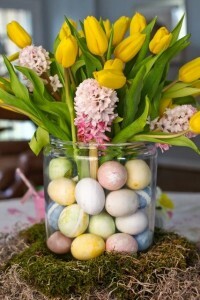 Send your heartfelt Easter wishes with this arrangement and you will surely make an impression. 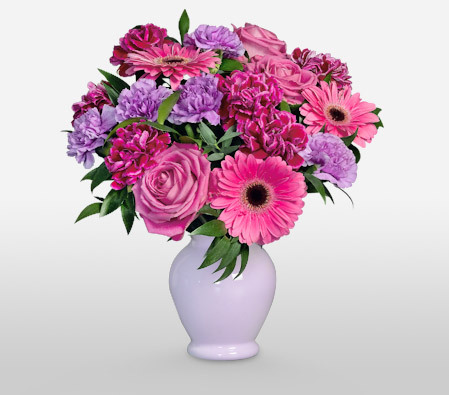 This arrangement comes with hot pink gerberas, pink roses, moonshade carnations, oregonia and Italian ruscus. If you’ve been away from your family for a long time this is the perfect way to make your presence left this with this lively floral arrangement. What’s interesting is that this arrangement contains 18 long stems yet makes an extravagant cluster of about 50 roses, thanks to its multiple bloom trait. It comes in a vibrant combination of yellow, red, orange and pink spray roses. A basket of Easter goodness so rich, it will have the recipient asking for more. This delicious food basket contains Jelly beans, Reese’s peanut butter eggs, M&M’s, Skittles, fruit flavored Tootsie Rolls in a Tootsie Roll bank, Sweet Tarts, Nerds, Butterfingers, Laffy Taffy, Fun Dips and the list goes on and on. You can read the full product specifications here. Don’t let the spirit of Easter dull out just because you aren’t around your loved ones. 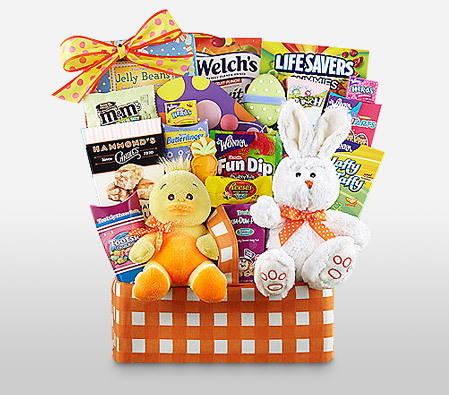 Send them a fancy Easter surprise with this basket of delicious goodies. This arrangement contains Reese’s peanut butter eggs , jelly beans, an assortment of Easter Sweet Tarts, Butterfingers, M&M’s, Nerds, Life Saver Gummies, peanut crunch, Fun Dip, Sour Punch Twists, lollipops, Laffy Taffy, Welch’s Fruit Snacks, fruit flavored Tootsie Rolls and a lot more. We hope this Easter celebration turns out to be most memorable for you and your loved ones so far. If you think you can add to our Easter gifts suggestions, please feel free to do so in the comment box below. Wishing you a delightful Easter! Fragrances are one of the most popular online Valentine’s gifts to send across to your chosen one on Valentine’s Day. Wearing something so intimate gives a sign of affection and a deep bond. 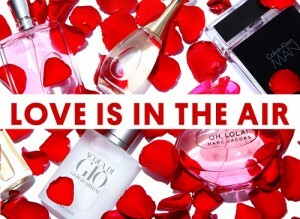 Suiting the personality- perfumes are one of the most romantic and passionate Valentine’s gifts. At the same time, it is important to gift the right perfume and fragrance that suits the personality of the receiver. 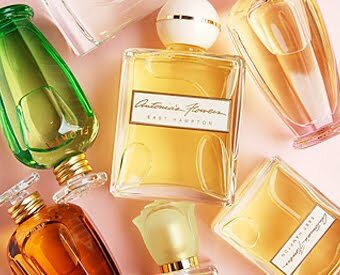 So make sure you know exactly what your valentine’s taste is when it comes to perfumes. Gifting high end fragrances has been an age old custom and receiving and sending perfumes has been a big hit with both men and women through the ages and across the globe. To get an idea of how powerful fragrance can be, look no further than Empress Josephine, who, legend has it, doused her rooms in her signature musk after Napoleon decided to leave her for the Archduchess of Austria. A note with serious staying power, it lingered long after Josephine departed the premises, ensuring that her ex would be reminded of her every time he stepped foot into her abandoned chambers. That such a tale originates in France should come as no surprise, since, perfumes are as much a part of the French culture as food and wine. The French have never been afraid of their dark, spicy statement scents but as you move across southern Europe, Mediterranean freshness takes over. Citrus and neroli are typical of the region, which has historically served as a melting pot—the early days of Eastern spice traders and exotic travelers left a permanent mark on the fragrance culture. dia, too, where base notes like sandalwood and patchouli, used for centuries in religious and beautifying ceremonies, are mixed with sensual floral notes like jasmine. China, with its many different regions, has varied tastes that tend to correlate with the climate. Woody notes do better in dry Beijing, and fruity florals thrive in warmer Shanghai. 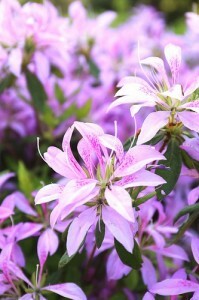 People in the hot, humid southern areas prefer refreshing but pungent fragrances. That’s in stark contrast to the Japanese, a more reserved society that eschews the heavy scents of other cultures and prefers delicate, well-balanced fragrances. Americans, known for their insatiable appetites love gourmand notes like vanilla and sweet, fruity notes like strawberry. 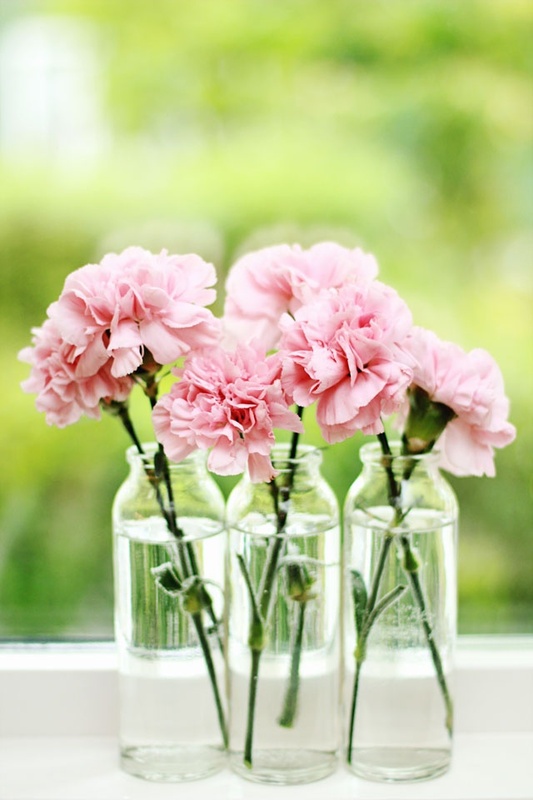 And although fresh, “clean” scents are also typically American, the most popular fragrances in the U.S.A have traditionally been feminine florals. This is no doubt left over from their shared history with the British, who are known for, and still enjoy, English-garden floral notes of rose, lily of the valley, and violet. The world is getting smaller and the door to experimenting with different fragrances is wide open. So this Valentine’s if you are looking to gift your beloved something truly unique and distinct then along with sending her Valentine’s Roses surprise her with a bottle of her favorite fragrance. No matter which part of the world you are in, you can easily send across perfumes and Valentine’s Day flowers along with heartfelt wishes through online gifting, and make your sweetheart feel extremely special. – Send Valentine’s day Flowers to U.S.A.
– Send Valentine’s day Flowers to U.K.
Serenade Your Sweetheart in more ways than one; with classic flower arrangements. Woo your Valentine through our 7, 5, 3 and 2 day Serenades. Flora2000 will sent perfect set of Flowers for you; which will truly stand testimony to your affections. Love is the harmony of two souls singing together. As Valentine’s Day approaches, shower your beloved with twice as much love by sending across enchanting bouquets and heartwarming gifts on not one, but two consecutive days. See her happiness double up as she receive these extravagant surprises at her doorstep two days in a row. They say third time’s a charm. This Valentine’s Day, charm your beloved by surprising them with elegant gifts and enchanting floral arrangements three days in row and let them feel pampered, appreciated and adored. Make this Valentine’s Day three times more momentous for them with heart-stirring ensembles. 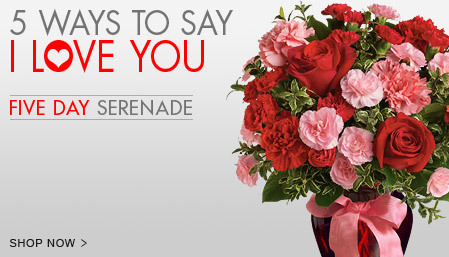 Take your sweetheart by surprise this Valentine’s Day by serenading them in style. 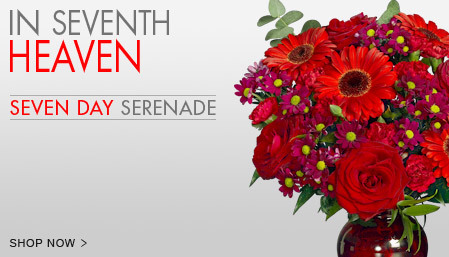 Send across enchanting floral arrangements and warmly crafted gifts over a period of five consecutive days. It’s the perfect way to charm your beloved and show them your appreciation with great ardor and love. Most of the beautiful things in life come by in twos and threes, dozens and bunches. There are plenty of roses, stars, sunsets and rainbows but only one significant other. This Valentine’s Day, send heartwarming ensembles from our specially put together collection seven days in a row. Surprise your special someone by dispatching one throughout the Valentine’s week and let them know how truly special they are. 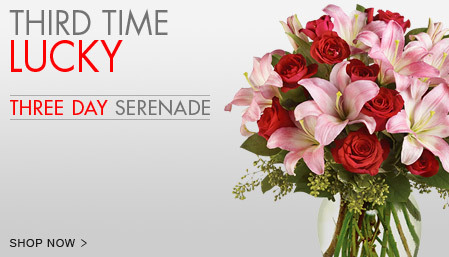 From time immemorial, serenade has been working wonders for those in love, giving them the right accoutrements to express their passion through enticing blooms. 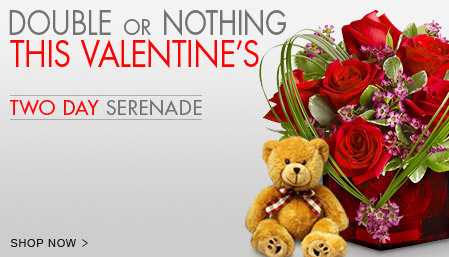 Exclusive Designs By Flora2000 – Award Winning Valentine’s Serenade Delivered Worldwide. We pride ourselves on offering a carefully orchestrated array of fine floral arrangements in contemporary florist traditions, with delivery available to the Global Delivery of your choice! There’s nothing quite like welcoming the New Year with a bang. And what’s New Year’s without some fun home decor. Below are 10 fuss free decor ideas from Flora2000. Cut out “2018” in cardboard. Wrap it up in tinsel of Gold or Silver (your choice. Gold looks fancy though). Add hooks to each of the digits and hang them on a thin string. Cover up the string with some more tinsel, some of the tinsel can hang loosely. This is another decor idea for your alcohol deck. Picture has been used for representation purpose only. Let your sparkling wine, sparkle literally this New Year’s. Spread liquid adhesive on your champagne bottle, leaving 1/4th at the top. Sprinkle glitter over the adhesive. Spray the adhesive again and add another layer of glitter. Do this till it’s completely covered in glitter. We recommend Briar Creek Cellar’s Chardonnay, makes a fine drink. Like it? Order it Here. 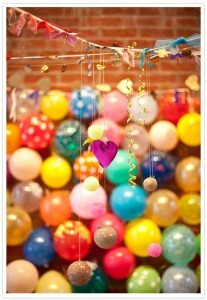 Liven up the wall behind your alcohol deck with balloons. Use balloons that stand in contrast to the color on your wall and blow them in different sizes (for the love of asymmetry). 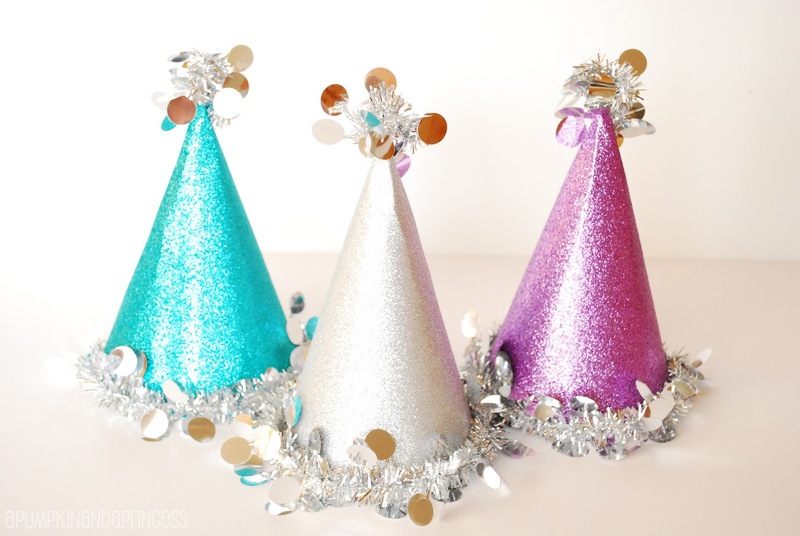 Add a dash of glitter to your regular party hats with a little glitter and tinsel garland. 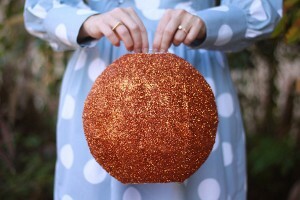 Spread glue all over the hat and sprinkle powdered fine glitter all over it. Stick a tinsel garland around the rim of the hat and a cut out a half an inch of the garland and stick to the top of the hat. Spray adhesive across your lantern. Sprinkle glitter all over. Repeat till your lantern is completely covered in glitter. 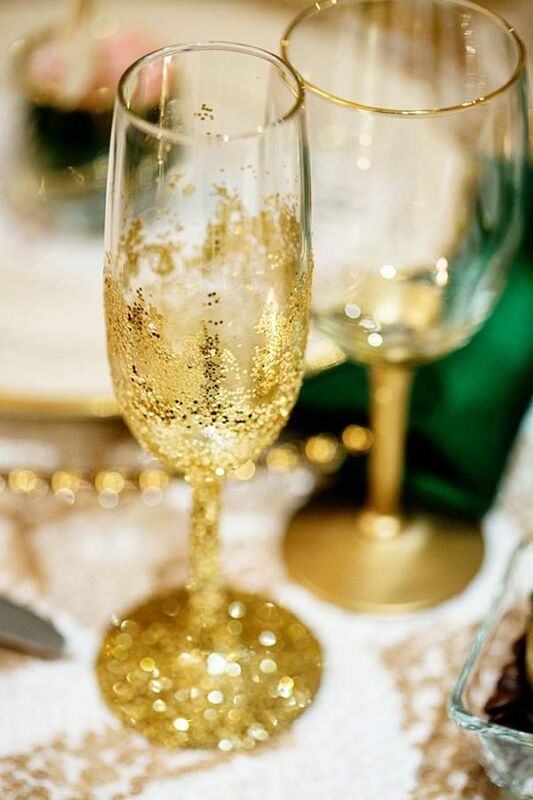 Surprise your guests with some more glitter. Spread glue asymmetrically across your champagne and wine glasses and sprinkle them with glitter. 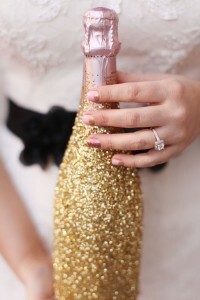 Make sure you do this a day or two in advance, you don’t want your guests to consume glitter with their champagne. We hope you liked our ideas and we wish you a sparkling New Year. If you have any DIY ideas that you would like to share, please add them in the comment box below. We look forward to your response. Yes, just a few more day before the big man himself comes to town and we all fall asleep on the couch in an exhausted heap. It’s that time of year again when the social calendar is bursting at the seams, the to-do list is never ending and madness starts to set in. So how can you remember and do everything without collapsing under the strain? The answer is through honing your already well-oiled organizational skills and using trusted time-saving methods. As we perch on the edge of Christmas Eve, here are some tips that will help you get through the next few days with ease. After a year-long wait, Christmas is finally here! Christmas decoration is an annual ritual that every family enjoys and plans for well in advance. Of course, hunting for new and unique ideas to come up with an enchanting decor is part of the fun and build up to the holiday! 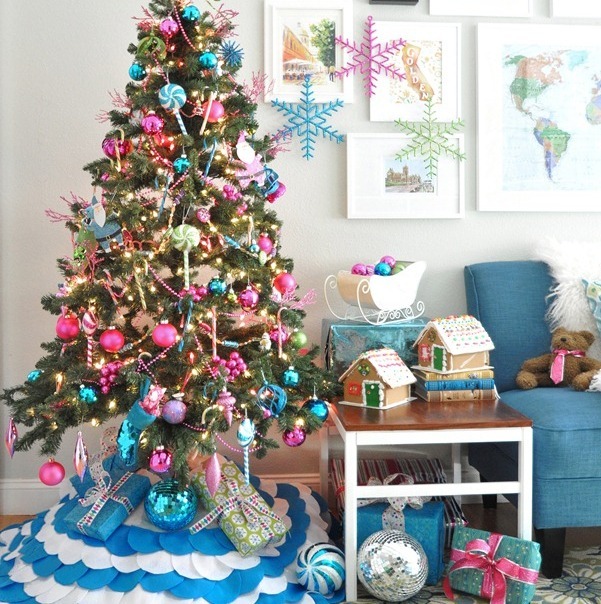 So how about applying an innovative theme to your Christmas tree this year and matching your decor with it? 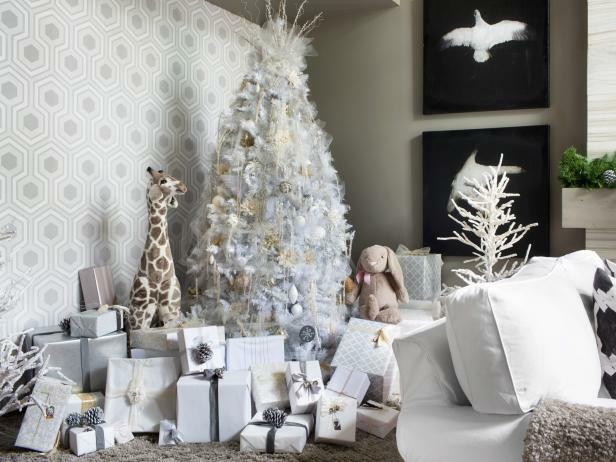 Believe it or not, themed Christmas trees add incredible elegance to your room with their sheer charm. So here are 5 of the most unconventional Christmas tree themes that you can try out this year! Although Christmas trees have been presumed to be green in color since traditional times, white colored trees can be a good choice for those seeking an unconventional decor. White colored Christmas trees can be best decorated with simple, metallic ornaments that give them a classy look. You can also change the color theme of your room to white so that it complements the tree and gives the effect of a snowy wonderland. The Christmas Rainbow theme is yet again an unconventional and beautiful one to try out this year. 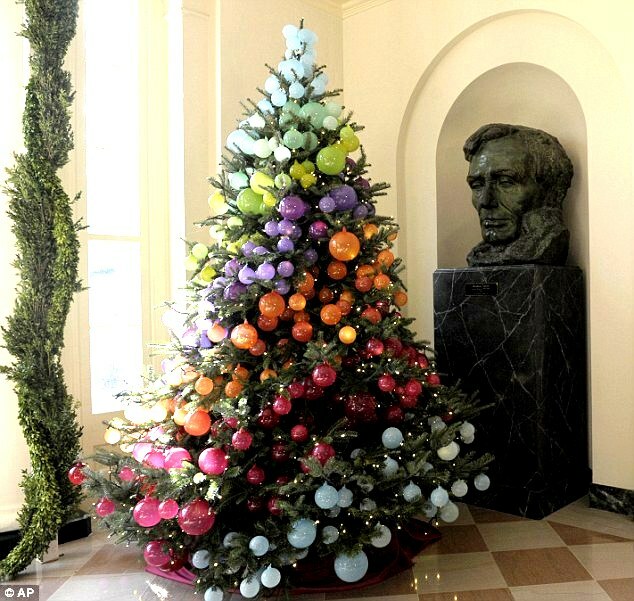 A simple tree can be decorated entirely with colorful balloons to give it the look of a rainbow. Make sure you do not add any ornaments to the tree apart from the balloons. Make sure you select balloon colors that depict a classy rainbow. 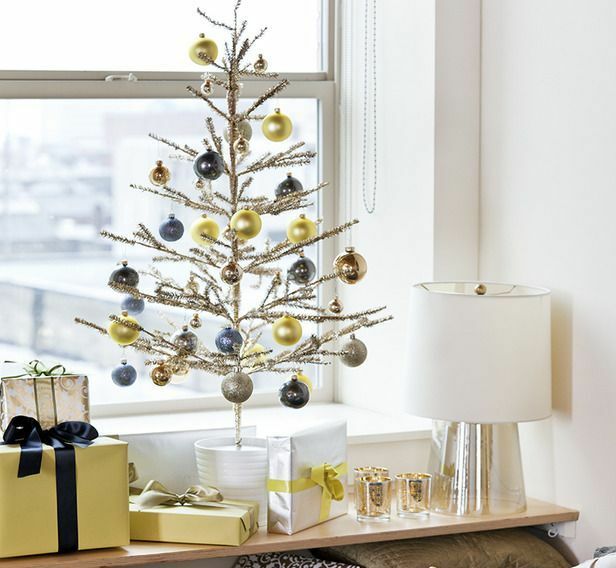 If green and white are too mainstream for you, try giving your Christmas tree a makeover with gold this year. 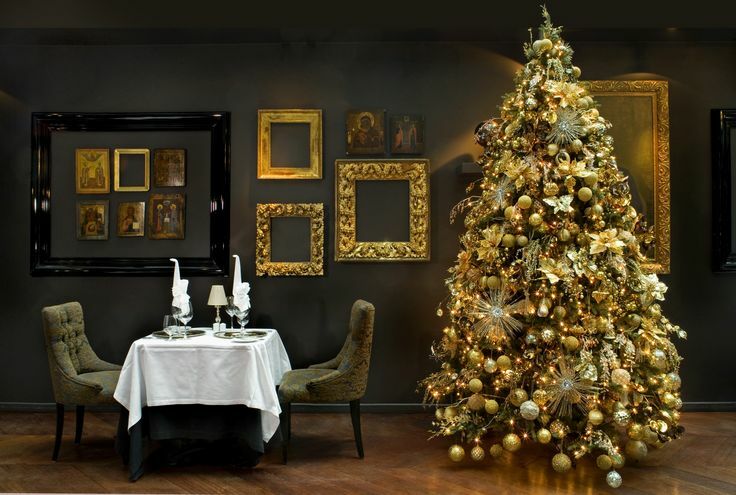 Decorate your tree with gold ornaments all over and see for yourself the elegance it adds to your room. You can also try golden lighting that will give your decor a glowing finish. 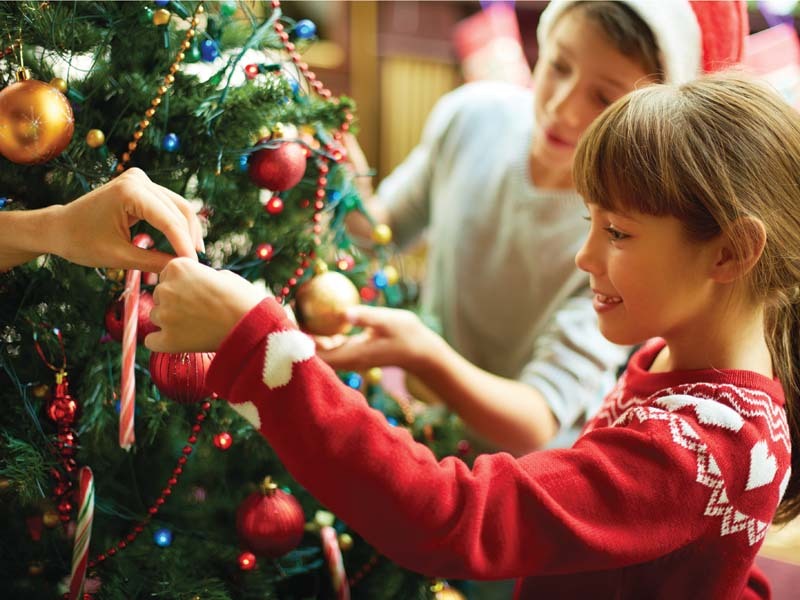 If you are not keen on having a traditional leafed Christmas tree, you can also try an aluminium Christmas tree, or make one by arranging books, wooden sticks or lights in the shape of a tree. This will not only make your decor look novel and unique, it will also attract a lot of compliments from friends and family for your creativity. The Quaint Decor theme is for those who are big on tradition and adore the typical style of tree decoration! To give it a trendy twist this year, you can try adding colorful and bold ornaments, whimsical decorations and charming gifts to it. For a classy effect, you can match the color of the ornaments with the color theme of the room. To enhance the look, add attractive Christmas flowers to your decor. Send Christmas Flowers to U.S.A. Send Christmas Flowers to U.K.